Personally, I am interested in playing Homefront: The Revolution [Steam] even if it's not the best FPS ever made. The good news is that it looks like the Linux port is still being worked on. Checking SteamDB it seems the Linux version has seen some more activity, which is the first time for a week. It's obviously not a lot to go on, but the publisher has stated before it's still planned to come to Linux. 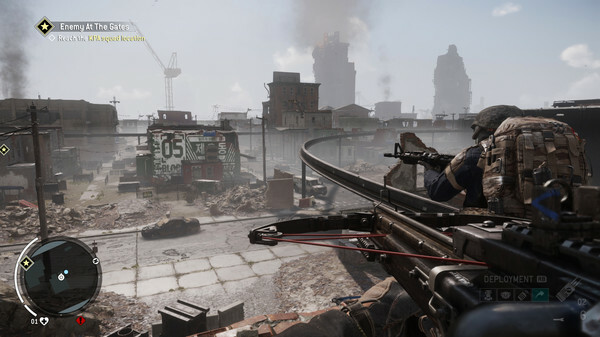 It would be nice to be able to soon write that "Homefront: The Revolution is now on Linux" and not have it turn out like so many others, with it vanishing or being cancelled. Who knows, maybe it will be a surprise release for us next month? Next month is looking a rather quiet, so it sure would be welcome. Im still interested in this coming to Linux, granted I have a backlog to play through first but still would be good to see. I wonder how big the problem of the "still" will be at release. I finished this game on Windows a few weeks ago. Even if it's not the best FPS ever made, it's still enjoyable and worth to play it. The betakey was deleted, so I thing two options: Or the game will be released on Linux soon or the Linux version will be cancelled soon. oh boy, I want this game. My steam wallet is prepared for this. My windows buddy wait for the purchase of me, to buy it too. I wait so long now.. I played the original Homefront on other OS and liked it a lot (the game, not the OS). I think I've actually played it twice. I did not buy the sequel yet specifically due to the promise of a Linux port. If it happens, they got my money for sure. OG SWAT RVLinux My windows buddy wait for the purchase of me, to buy it too. That must be a good buddy indeed!